The FreeBSD Foundation is a 501(c)3, United States based, non- profit organization that is committed to supporting and building the FreeBSD Project and community worldwide. All of our work is funded by donations. US-based donations should be fully tax-deductible on your federal return. The Foundation’s Employment Identification Number is 84-1545163. We fund and manage projects, sponsor FreeBSD events, Developer Summits and provide travel grants to FreeBSD developers. We provide and help maintain computers and equipment that support FreeBSD development and improvements. We also represent the Project in executing contracts, license agreements, copyrights, trademarks, and other legal arrangements that require a recognized legal entity. Please take a moment to read more about your impact on FreeBSD. Thank you for supporting The FreeBSD Community! Don’t Forget About Matching Gifts! Support the Foundation every time you shop at Amazon. Show the world that you support FreeBSD. Tweet about your donation and add the Proud Donor button to your website. Want to ask your employer to donate, but not sure where to start? Check out the donation request letter template. Please include your mailing address so we can mail you a receipt! If you make a credit card donation, you will be asked for a shipping address. Please supply your mailing address in that field. The Foundation is required by law to send letters of acknowledgment for donations, and we need your mailing address to comply with the law. The Foundation will not sell or give away your address to anyone. 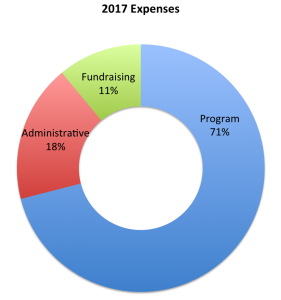 Under US tax law, contributions to the Foundation are normally tax-deductible. Contributors are urged to seek professional tax advice to ensure that their particular contributions meet the requirements for deductibility. Click here to find out more about our fundraising efforts.